Greathouse Chiropractic Blog » Spine Pain / When Nothing Else Will Do! Spine Pain / When Nothing Else Will Do! When it comes to back or neck pain many times mechanical therapy is the only answer to the problem! Science tells us pain basically comes from three sources: thermal tissue damage (hot or cold), chemical irritation from inflammation and mechanical load or stress on tissues. In the spine, mechanical pain is all too common and commonly overlooked! A high percentage of the time back pain is mechanical in nature and requires mechanical intervention to improve the problem. A kidney stone is a good example of mechanical pain. The stone is lodged and irritating the tissue. Medication may lesson the pain but the mechanical factor must be remove to get better. many times spinal problems are the same. If the internal component of the joint is displaced it must be reduced. If the joint is painfully stiff or stuck it must be mobilized or manipulated to get better. There are two valid & reliable classifications of mechanical spine pain; disc derangement, better known as a bulging disc, and joint dysfunction, which is a stiffening of the joint(s). Both forms are common but disc derangement can be the most problematic and disabling. Both can be corrected or improved upon but the derangement classification, although typically more painful and disabling, usually responds to appropriate care more rapidly. Sometime as quickly as one visit an individual can improve from severe pain from the back/leg, neck/arm, to complete abolishment of symptoms and improved function after reduction of the derangement. Even chronic pain patients respond and should attempt mechanical therapies! 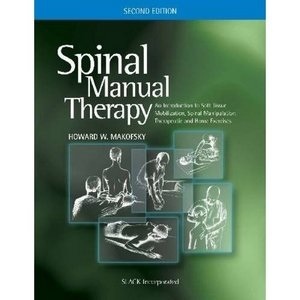 Mechanical care such as manipulation, mobilization, and therapeutic movement. We also offer inflammation & pain-modulating modalities such as electric muscle stimulation (interferential/HVG), ultrasound and cold laser. Go to GreathouseChiropractic.com for more information on services.